Traditional Training Practices are Broken. Here’s How We Can Fix It — CreativityAsia | Learning & Development, Redefined. Traditional corporate trainers (aka facilitators, enablers, knowledge architects – as some call themselves) present their content with the aim of making it easy to be remembered and understood. This focus on conducting training needs analysis, content development and presentations leaves the application of acquired knowledge solely to the learner. Participants leave training sessions with knowledge, but a limited context on how they can apply it effectively in the workplace. This severely broken link needs to be fixed. There are several tools and techniques HR Learning professionals could use to overcome this situation. These initiatives focus on context-based presentations aimed at making content stick. This strategy enables learners to apply what they have learnt to their workplace with confidence. In the course of facilitating training over the past three decades, I have discovered that using highly interactive and reflective tools as part of context-based learning leads to better results. The context-based approach enables learners to immediately link the concepts learned to their workplace setting. By focusing on creating and sustaining adequate opportunities for learners to connect the dots between the content delivered to what they experience at work, we are able to enhance the competency of the learning outcome. The first and most meaningful step is engaging learners through individual and group-based experiential activities throughout the learning session. Puzzles and activities such as Challenging Assumptions, Broken Square, Children Storybooks, and Image-Visual Cards could be used to add value to the context-based learning experience. These hands-on and interactive activities are designed to help learners contextualise the concepts to their actual work environment. We can make this easier by framing the right questions aimed at connecting the concept to their workplace. 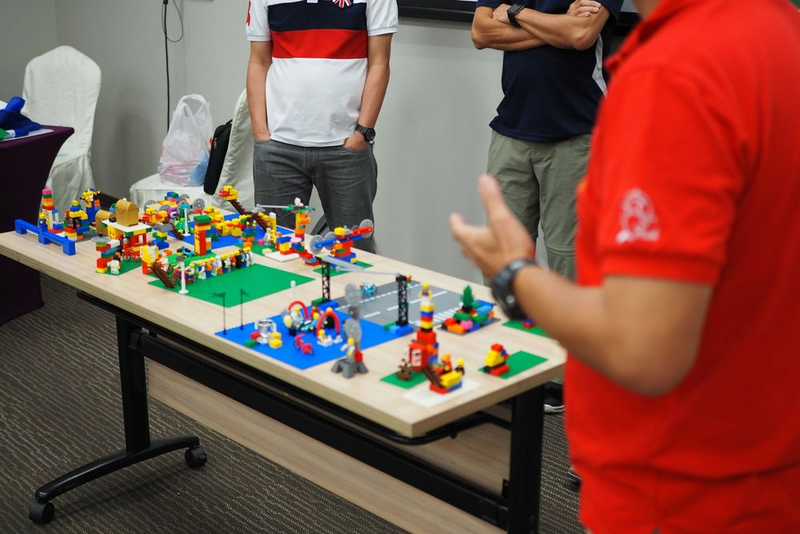 Beside these interactive tools to enhance the context-based learning, I found the LEGO® Serious Play® approach* (commonly abbreviated as ‘LSP’) brings out the best in participants. The LSP is one of the most powerful interactive initiatives available to fully engage participants. The 4-step process of the LSP model (question/theme, build, share & reflect) enables learners to feel and experience real world situations to the concepts learnt during the training session. The sharing and reflection elements of the LSP approach make it possible for the content covered to become context based and relevant to the real world. When I use the LSP process during the learning, learners are able to bring out the problems and solutions to the attention of everyone in the room. Learners take ownership to answer the most critical step of ‘now what’ and ‘what is next’. The 100 per cent engagement from every learner and the collaborative learning environment not only makes the learning stick but also moves the group forward to Make A Difference in the workplace. If, as a member of the HR professional team, you ever found yourself asking, “What should I do to manage the ‘broken’ link of my training sessions for better outcomes?”, you are not alone.The best way to respond to this question is by ensuring that the learning you provide is interactive, reflective and context-based. This will ensure that your training sessions will help achieve the learning outcome that will benefit your organisation. With the context-based training initiatives, we no longer need be concerned about the ‘broken practices’ in our training sessions. The context-based approach to training practices will make our training focused on our desired outcome: Improved Results. If you have any questions about this article, need more information about how this approach can improve your team’s performance, or simply want to say “Hi”, feel free to reach out to me at aruljp@creativityasia.com.